In today’s day and age, it is important to be aware of the specific needs that your body may have. Every individual requires a different kind of medical support and help. That is because each person may be faced with a different set of medical disorders or conditions. Understanding that every person has their particular kind of medical need, Apollo has crafted a unique personalised health check that is crafted to suit the needs of an individual. Through this personalised health check-up, an individual plan is tailor made, keeping in mind each individual's susceptibility to developing a disease or disorder. 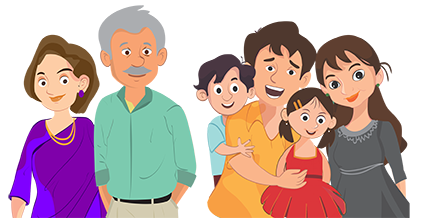 Apollo’s personalised health check-up is crafted, considering multiple factors like family history, vital parameters, environmental factors, etc. DNA+ genome analysis- By collecting samples of your blood, saliva and hair, our experts can decode & understand your specific genes and understand how you can be affected by diseases and disorders. Physical examinations: In addition to diagnostic blood tests, our physicians conduct detailed discussions with you to understand your medical requirements. Advanced Testing Equipment & Trained Technicians: Using cutting-edge medical technology, our tests help to ensure accurate and timely results. Effective Follow-Up Services: Post diagnoses, our team of experts continuously stay in touch with you, sharing advice and guidance on how to lead a healthy and disease-free life. In tandem, our experts will also run you through a thorough clinical examination followed by a medical summary and advice by a consultant physician. 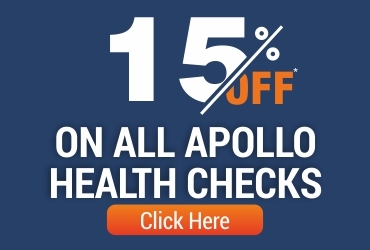 Get in touch with one of our experts today to understand more about Apollo’s personalised health check-up package.